Last year, ADP launched its first national photography competition for students – Bricks and Mortals. Such was the success of the event, and the positive feedback it received, that we have decided to run the competition again this year, with a fresh new theme and brief: Architecture Naturally. The focus for Architecture Naturally is on an important relationship – that which exists between architecture, and the natural world. Often seen as being in conflict, this relationship is high on the political and social agenda, reflecting changing attitudes toward sustainability, and our place in relation to the natural world. At ADP, we believe this relationship can produce creative and dynamic design solutions, incorporating the latest advances in technology with bold new aesthetics that won’t cost the Earth. First prize this year, therefore, will go to the aspiring photographer who can capture the positive balance that can be achieved between architecture and Nature, with both informing and supporting the other. sensitivity to the theme, producing outstanding images. We’re looking forward to seeing what this year’s brief inspires in our entrants. PRIZE DETAILS: 1st Prize Photographic commission £1000, Camera equipment vouchers £750, Plus! 1 year subscription to Digital Photographer magazine. 2nd Prize Adobe Photoshop CS4 Worth over £500, Camera equipment vouchers £500. 3rd Prize Adobe Lightroom Worth over £200, Camera equipment vouchers £250. In addition to the above prizes, the top three entrants will receive a unique Callprint Discount Card – entitling them to 25% off printing for a whole year. ELIGIBILITY: Over 16 studying an architecture or photography course in the UK Not eligible to enter? - Find contest where you are. COPYRIGHT: The copyright of the entire image before and after manipulation must be held by the entrant. It is the responsibility of the entrant to seek all permissions required for the image to win under the entrant’s name, and for the display and publication of the entry. ADP reserves the right to request evidence of such authorities or consents. ADP intends to auction a limited number of copies of prize-winning, commended and selected entries in order to raise monies for charitable purposes at the two planned exhibitions of the competition. The copyright of the image will remain with the photographer and this will be made clear to the purchaser. 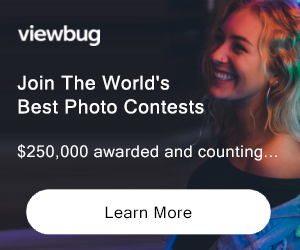 By entering this competition you are agreeing to grant to ADP for a period of five years a license to use or reproduce the images for ADP’s own purposes,whatsoever they may be. During the period of the license the photographer would be restricted from selling any further copies of the image in order to preserve the uniqueness of the auctioned image.